Every low-roller is guaranteed his or her place at NetEnt’s Blackjack Live Common Draw table. 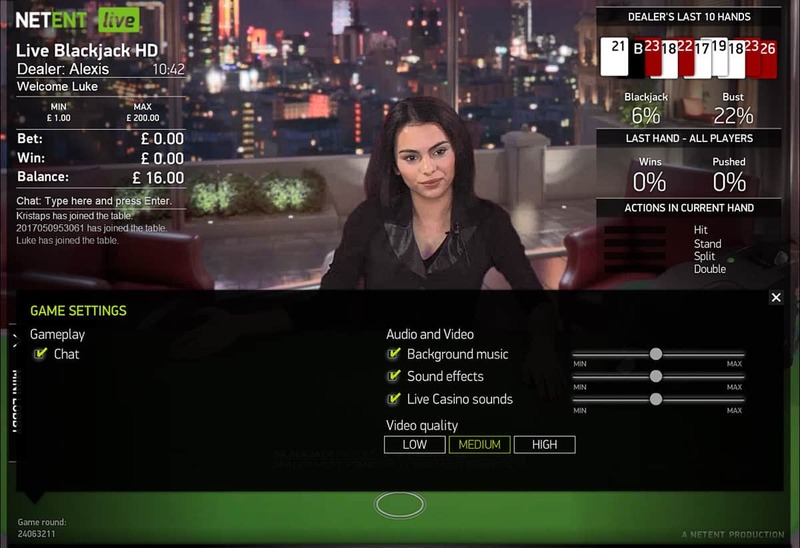 As with every NetEnt Live game, the streaming and game-play are seriously smooth, while the game mechanic of cards shared between players – while we still maintain our own individual hands – is superbly delivered. At no point does the common draw angle become confusing, even with multiple players using the same cards to play different hands. The big result is speedy game-play, with none of that waiting around for other players to make their betting decisions. 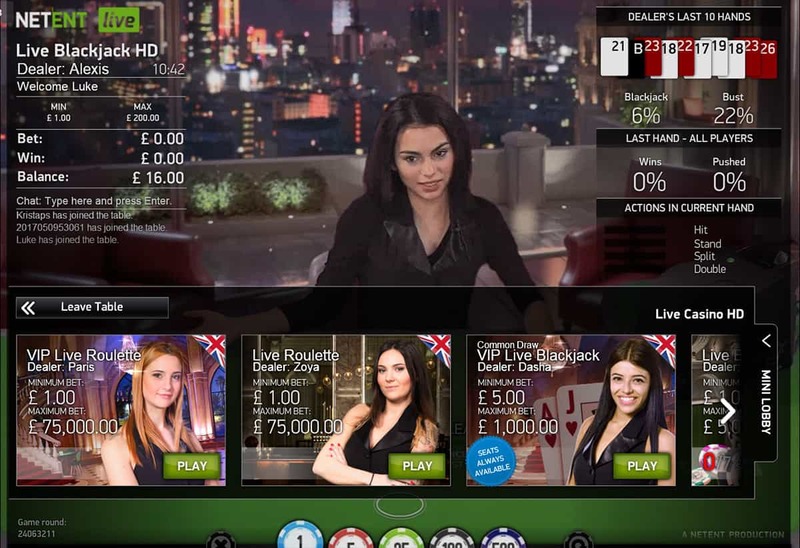 As with all NetEnt’s Blackjack Live games, our statistics are positioned on the top right of our screen. The dealer’s last 10 hands and their overall percentage of Blackjacks and busts allow us the opportunity to adjust our Blackjack strategy for each hand at will. 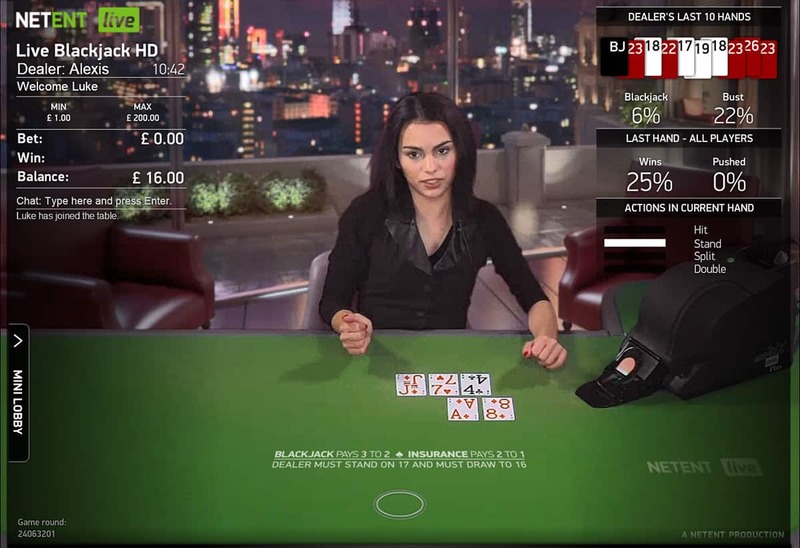 Players’ own portions of player wins and pushes from the previous hand sit beneath the dealer’s stats. Being Blackjack Live Common Draw during which each hand is shared with however many players are at the table at any one time, there are instances where the graphics must back up these nuances in the game. A split pair is a perfect example of this. The cards remain as they are on the table, while the pair splits off on our screens to highlight each split pair. As ever, it’s superb game design and development from NetEnt. There are numerous obvious advantages to playing NetEnt’s Blackjack Live Common Draw. Not least that we can always find a seat and not have to worry about trying to click in as quick as we can when another player decides it’s time to call it a day. The speed of the game-play is also paramount, with no need to wait for other players to take their turn before we make our own decisions. The dealers always play a major part in any Blackjack game, but none more so than in Common Draw. Because we don’t have individual hands, the Common Draw Blackjack dealers are imperative to the smooth running of the game. They have to instruct players clearly when the nuanced bets come around - some players decide to hit, some decide to stand, some decide to split and some decide to double. The dealers are backed up with excellent game design that spells out clearly which players’ hands are progressing and which have bust. Payouts remain as standard Blackjack procedure - Blackjack pays 3:2, Insurance 2:1, standard wins 1:1. NetEnt’s Blackjack Live Common Draw succeeds in what it sets out to do. It speeds up Live Blackjack game play and always guarantees players seats, no matter how many others are at the table. The Swedish developer is renowned for its development expertise when it comes to online slots, and it’s good to see that every inch of that development skill has been poured into its Blackjack Live Common Draw games. 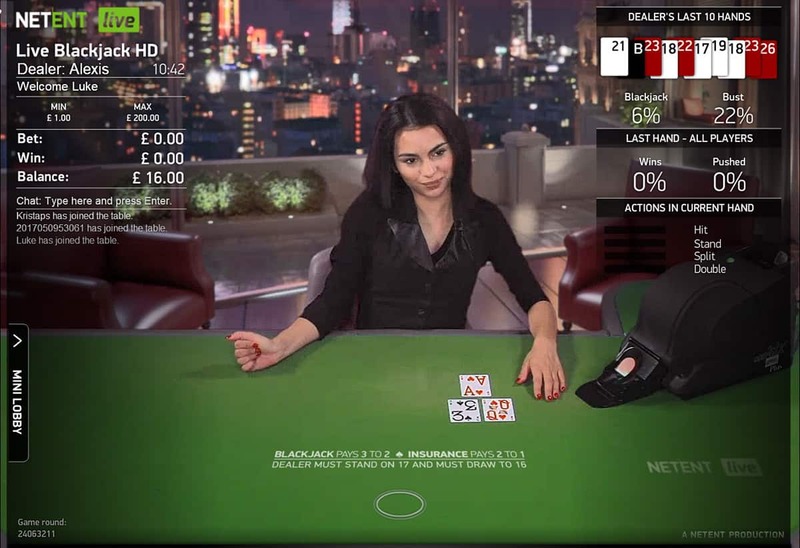 It solves queuing, speeds up game-play and and serves all our Live Blackjack needs. For higher rollers, NetEnt’s Blackjack Live Common Draw High Roller is also available, taking place in plusher surrounds and operating a betting range of 5.00 - 1,000.